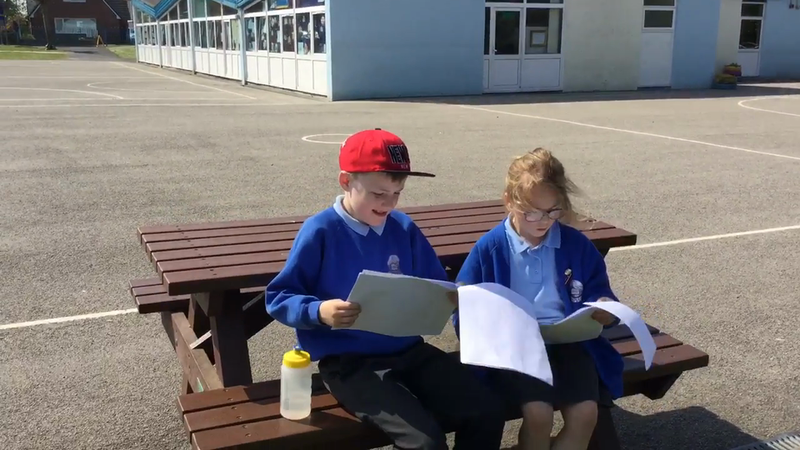 We have been learning about how to write a play script. We needed to read them first so we could learn what they looked like and what we have to include. Mrs. Mosley split us into groups using the lolly sticks and gave us scenes from The BFG. We had great fun acting them ou. We were lucky enough to be able to practice outside on the field, in the sun. Here is one of our first practises. The giant language is very tricky to read at first!